Collect the most up-to-date data about students and their parents, to comply with the GDPR requirement for accuracy of data. Available on iOS, Android and a browser, the SIMS Parent Lite app provides a convenient and accessible solution for parents to electronically review and request changes to the data held on them and their children. GDPR school data management is simpler as schools have the ability to send notifications to parents, reminding them to update their details, reducing manual data entry and eliminating paper based data collection. 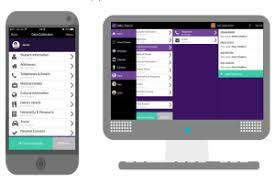 Utilising the power of SIMS ID, the SIMS Parent Lite app allows users to use an existing email account to login, removing the need for a school to manage user accounts. Parents can provide additional information on crucial details such as medical information or dietary requirements, using the text information function, ensuring that personal information not previously held in SIMS is collected. Manage school data updates effortlessly. When a parent has submitted a change request, automatic emails are sent to nominated SIMS admin accounts. Administrators are able to view previous requests and details of any action taken via the audit trail within SIMS. How do I get SIMS Parent Lite app? ​If you are a parent of a child attending Northlew Primary, you will receive an activation email to your main home email address. Simply click the link from your PC, tablet or smart phone to activate your account. ​For more setup information click here.